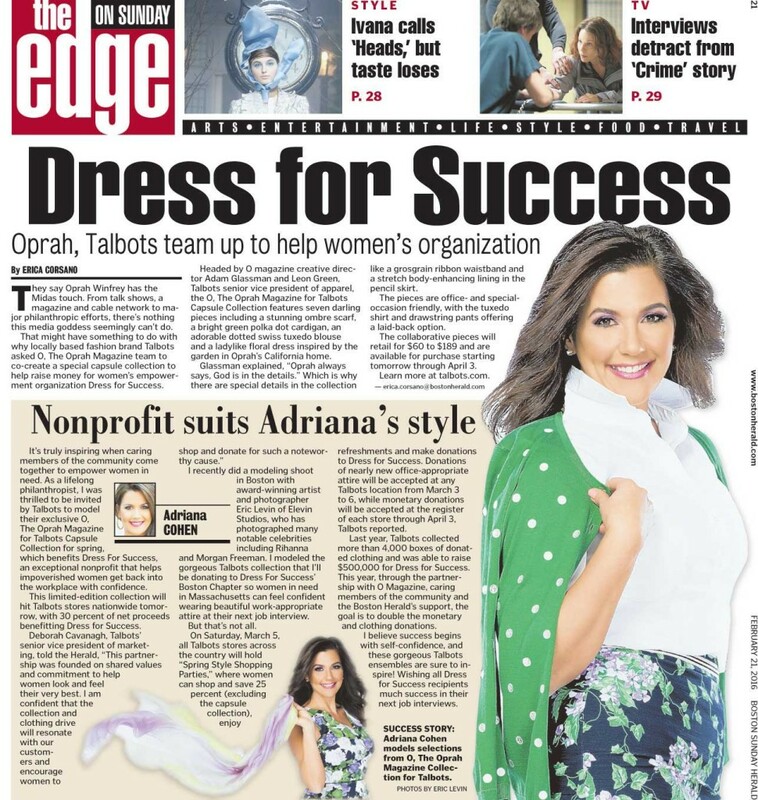 For the fifth straight year Adriana has modeled for Talbots benefitting Dress For Success a partnership with O, the Oprah Magazine that to date has raised 4 million and benefitted positively 100,000 women in need nationwide. Check out Adriana’s column on this year’s initative. 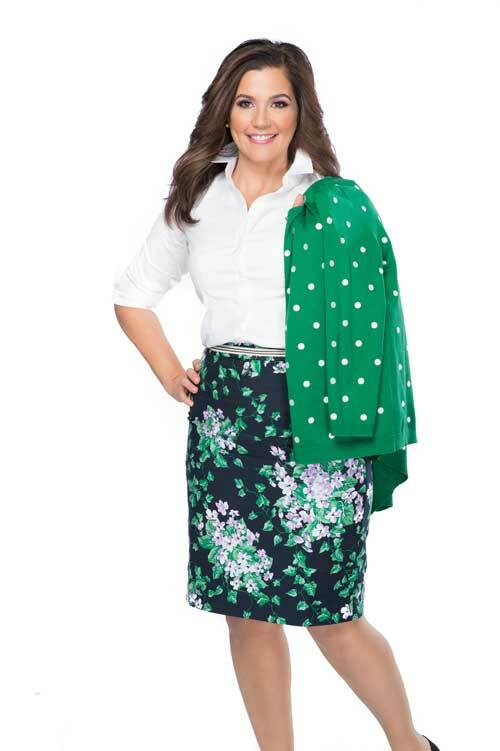 Adriana modeled for Talbots again this year benefitting Dress For Success! The charity collaboration with O, the Oprah Magazine has helped 60,000 women, raised millions and delivered 12,000 boxes of business attire to underserved women. 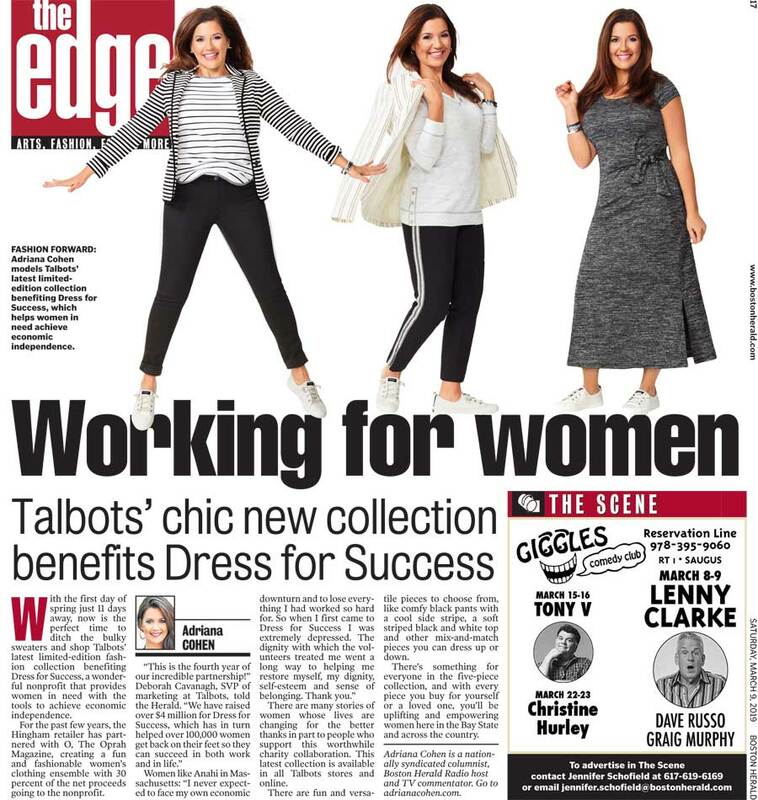 Read the Article in the Boston Herald about the 2018 Dress for Success campaign. Click here to read the 2018 Dress for Success stories. Dress for Success Boston has become my family as they continue to assist me in connecting the dots, through ongoing support networks and mentorship. I now know how to carry myself when things are good and when things are challenging. I have learned to take care of myself. After a successful partnership last year with O, The Oprah Magazine, in which it raised $1 million for Dress for Success and collected over 4,000 boxes of donated clothing for women in need, Talbots, the Hingham-based retailer, is launching another limited-edition capsule collection benefitting the charity. Read the Article in the Boston Herald about the 2017 Dress for Success campaign. Click here to read the 2017 Dress for Success stories. 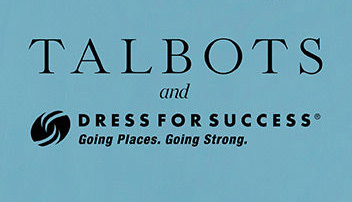 Talbots thanks Adriana Cohen for another year of supporting the Dress for Success - Talbots partnership. Not only does she look incredible in the clothing but her dedication to this cause has been extraordinary. 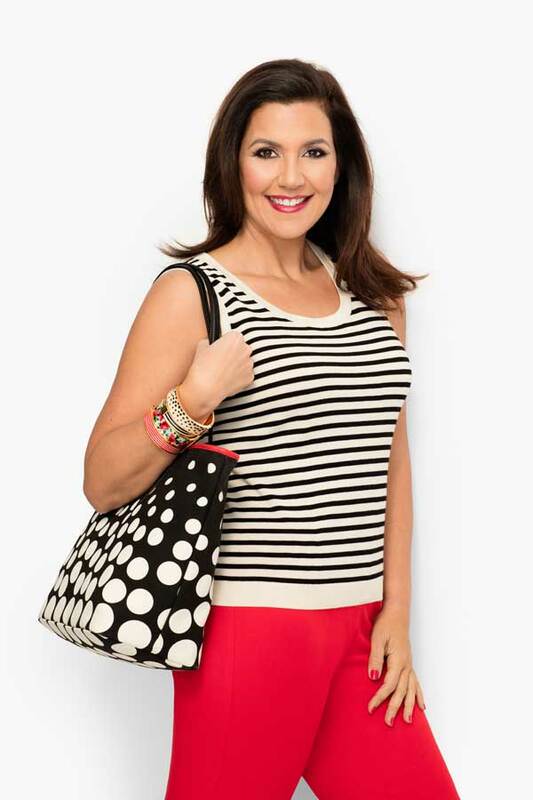 FEBRUARY 2016: Adriana modeled for Talbots to support Dress for Success. 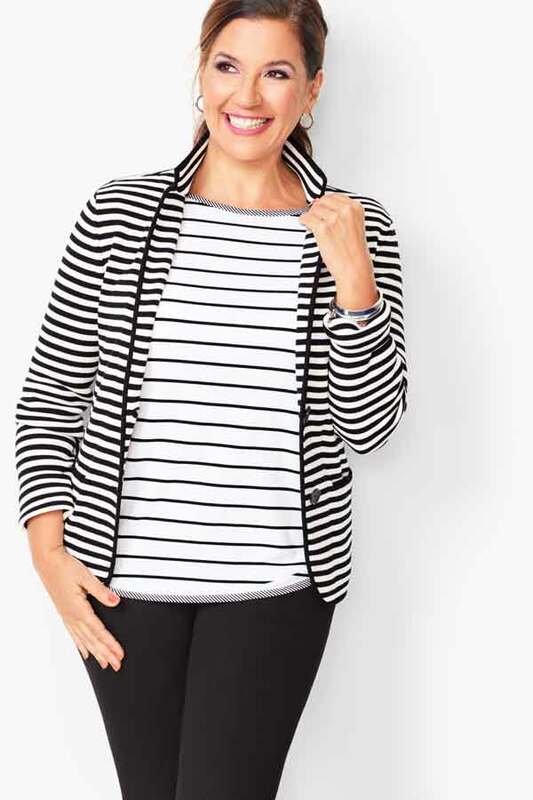 Talbots and O, The Oprah Magazine joined forces to launch an unprecedented spring collection that was created to support Dress for Success in an effort to empower more women in the workforce. 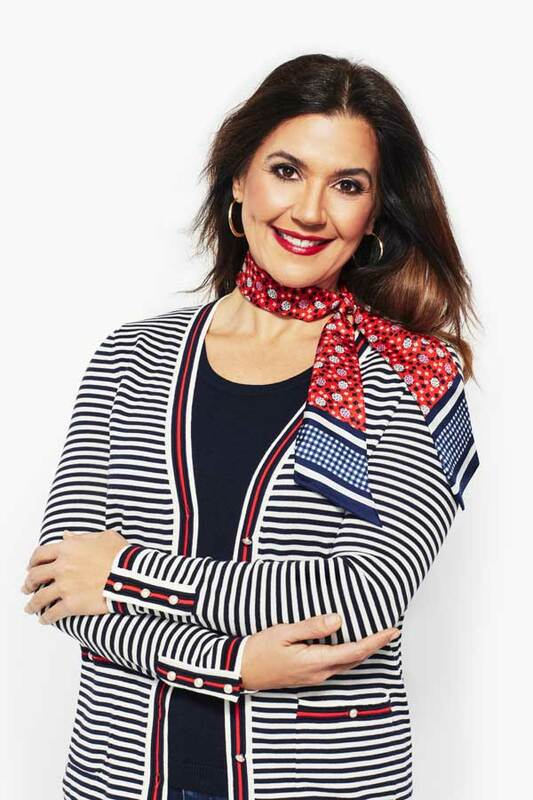 As part of the collaboration, O Magazine’s Creative Director, Adam Glassman, teamed up with Talbots’ design team to create the exclusive O, The Oprah Magazine for Talbots Capsule Collection. 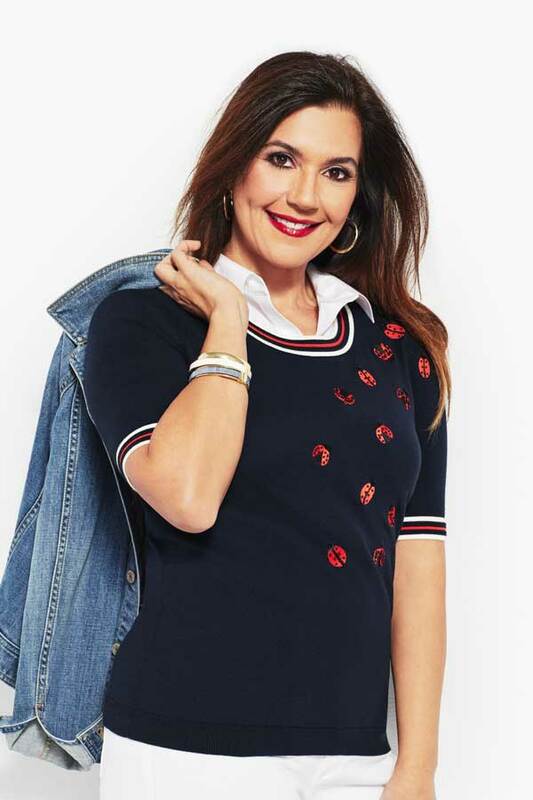 This limited-edition 7-piece collection hit Talbots stores nationwide beginning February 22 and will be available through April 3, with 30% of the net proceeds benefitting Dress for Success. Read the article about the 2016 Dress for Success campaign. Adriana is a life long philanthropist who has spent her adult life supporting innumerable charities and good causes. One of the many ways she has done that is by working with the fashion community. Adriana has modeled in the past and donated her time and/or fee to worthy charities. In May 2015, Adriana put together a charity partnership with Talbots to support women in need in Boston. 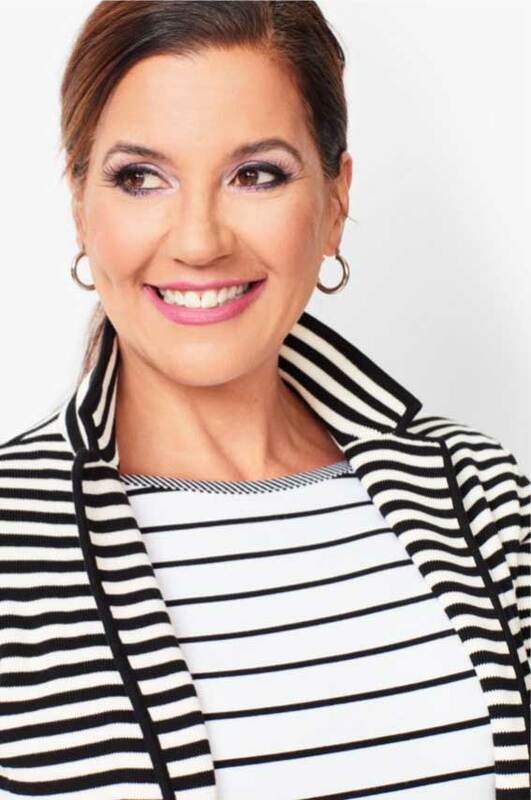 Beginning May 4th, Adriana modeled different beautiful spring fashions generously donated by Talbots on her Boston Herald radio show, Herald Drive. If you’re not familiar with this terrific charity, Dress for Success is a non-profit that provides professional attire to disadvantaged women so they can have nice, work appropriate clothing to wear on a job interview. Dress for Success also provides women with the tools needed to develop a career and economic independence. Read the article about the 2015 Dress for Success campaign.